The Insight Data Science Fellows Program is a postdoctoral training fellowship that bridges the gap between academia and data science. 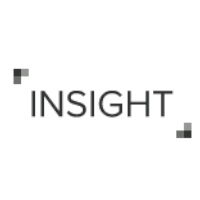 Insight is a six week, intensive program that teaches researchers how to apply their existing analytical skills to big data. The program consists of a project-based, industry-driven learning approach designed to train academics in many of the cutting edge data science tools and practices used in industry. The Insight Data Engineering Fellows Program is a full-time, 6 week professional fellowship based in the San Francisco Bay Area that helps engineers, computer scientists, and other quantitative PhD’s leverage their existing software development skills to transition to a career in big data engineering. As an Insight Fellow you will receive a full tuition scholarship, making the program completely tuition free. Desk space at our office is also included for the duration of the program. Finally, need-based living expense scholarships are available. Tuition free program, with need-based travel and living expense scholarships available. Alumni network of over 70 Insight Fellows who are now working as data scientists and data engineers. Facebook, LinkedIn, Square, Microsoft, Palantir, YouTube, Netflix, Twitter, Adobe, Airbnb, Jawbone, as well as at various well-funded startups. Prep work before classes start ??? Address 154 E. Dana St.